Wooden letters HOME. 15 x 15 cm. Handmade and fairtrade by Kinta. Coaster recycled paper. In different sizes. For pans or glasses. Made in Vietnam for Fair Trade Original. Paper coaster made of recycled papers. Size: 10 x 10 x 0,5 cm. fairtrade by Fair Forward. Paper bowls and plaids. Large, diameter 40 cm. Made of recycled paper. Fair Trade Original. Paper bowls and plaids. Made of recycled paper. Fair Trade Original. 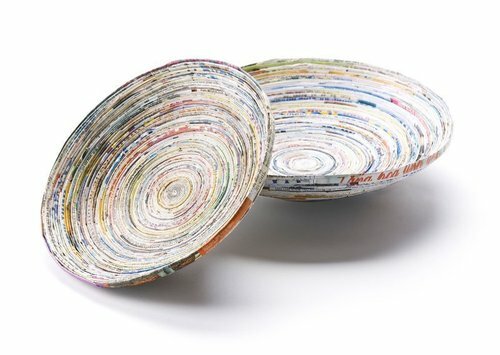 Recycled paper bowl. Made of magazines. Fair trade by Fair Trade Original, handmade in Vietnam. Felt fun flags. Happy Birthday. Fair trade by Global Affairs. 4 metres. Flagline pastel. Length: 4,5 metres. Made of cotton. Fair trade by Global Affairs. Multi coloured flags on a blue cord, made of cotton. Length: 4 meters. Fairtrade by Global Affairs. Multicoloured flags, made of cotton. Blue-red-green. Length: 4 meters. Fairtrade by Global Affairs. Red white and blue flags, made of plastic, backside is orange cotton. Length: 6 meters. Fairtrade by Fair Trade Original. Blue, red and beige coloured flags on a blue cord, made of cotton. Length: 4 meters. Fairtrade by Global Affairs. Doorstop cat. White blue cat. Made of felt (wool). H 25 x W 20 cm. Fair trade, handmade in India. Beautiful eggwarmers in Tulip shape. Keeps your (Easter) egg warm. Red. Length 15 cm. Fairtrade from Nepal. Beautiful eggwarmer in Tulip shape. Keeps your (Easter) egg warm. Wit. Length 15 cm. Fairtrade from Nepal. Beautiful eggwarmers in Tulip shape. Keeps your (Easter) egg warm. Yellow. Length 15 cm. Fairtrade from Nepal. Felt flags, dimesnions per flag: 15x15cm. multicolour. Length: 10 meters. Fairtrade by Global Affairs. Recycled paper vase. D 12-14 cm x H 19,5 cm. 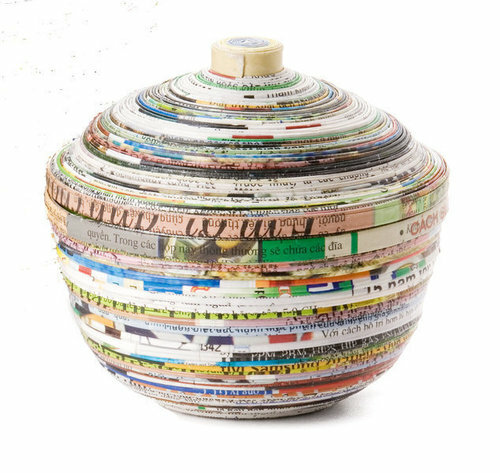 Made of old magazines. Fair trade by Fair Trade Original, handmade in Vietnam. 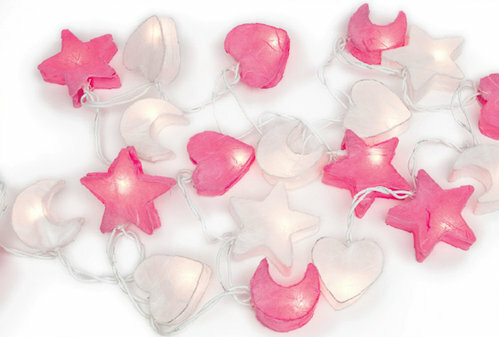 Garland from felt stars. multicolour. Length: 4 meters. Fairtrade by Global Affairs. 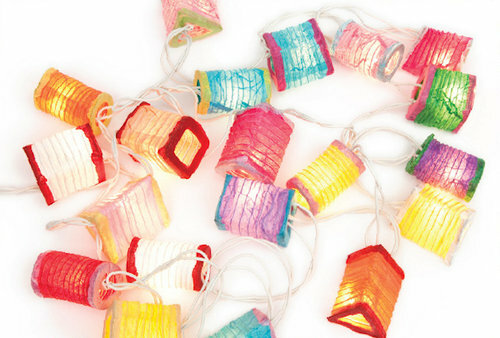 Paper lights with 35 bulbs. For use outdoors. LED. Handmade of the leaves of the muberrey tree. 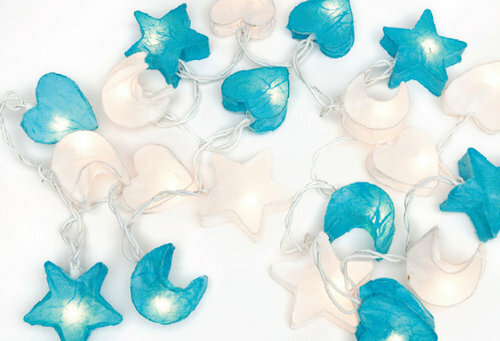 Dreamlights. Beautiful eggwarmer in Chicken shape. White. Keeps your (Easter) egg warm. 13 x 13 cm. Fairtrade from Nepal.